“New Horizons with our Women” seminar has been presented on 8th of March International Womens Day. University of Kyrenia Rector Prof. İlkay Sahihoğlu MD., Dr. Suat Günsel University of Kyrenia Hospital Head Physician Prof. Nail Bulakbaşı MD., deans, vice deans, academicians, administrative staff and students attended the seminar presented by the Faculty of Law Instructor Asst. Prof. Dr. Özlem Akın, Dr. Suat Günsel University of Kyrenia Hospital Psychologist Feriha Kaşifoğlu, Faculty of Aviation and Space Sciences, Department Head of Aviation Management Assoc. Prof. Dr. Nalan Gelirli MD. and Faculty of Architecture, Head of Architecture Department Prof. Hülya Kolozali MD. Prof. Dr. İlkay Salihoğlu who presented the opening speech of the seminar, firstly stated that he is saddneded due to the loss of the two women Asiye Çınar Talay and Elif Demir, who lost their life in a car accident in Karpasia a day before. According to the recent world statistics, Salihoğlu reminded that traffic accidents caused more loss of lives than diseases. Prof. İlkay Salihoğlu MD., also underlined that 8th of March International Women’s Day should not be limited to activities performed during one day and that the aim and meaning of this day should not be forgotten throughout the whole year. Faculty of Law Asst. 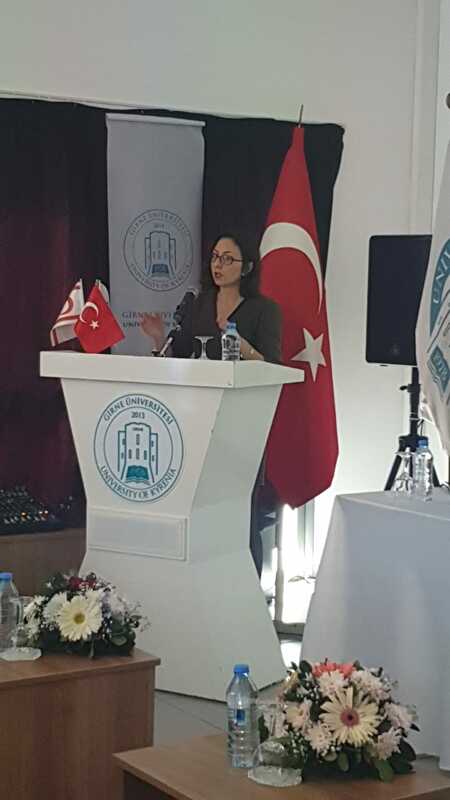 Prof. Özlem Canbelek Akın MD., gave a presentation based on the ‘History of International Women’s Day and Current Problems’ including detailed information about the process, women who lost their lives in the struggle and the United Nations General Assembly’s decision in 1977 . 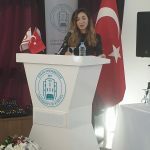 In this context, Akın also explained the current problems and also stated that it is not possible to talk about equality today because of the inequality in employment and education, as well as the continuing imbalance in the fields of profession, management staff and income distribution. Asst. 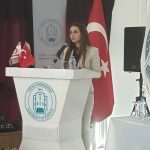 Prof. Özlem Canbelek Akın MD., mentioned her personal experience by noting that she had applied to various universities while she was pregnant and did not receive a positive answer, however, Near East University and University of Kyrenia did not hesistate to give her a role within the institution. She expressed her gratitude to our instituitions for giving her an opportunity while she was pregnant and also providing all her maternity leave rights. 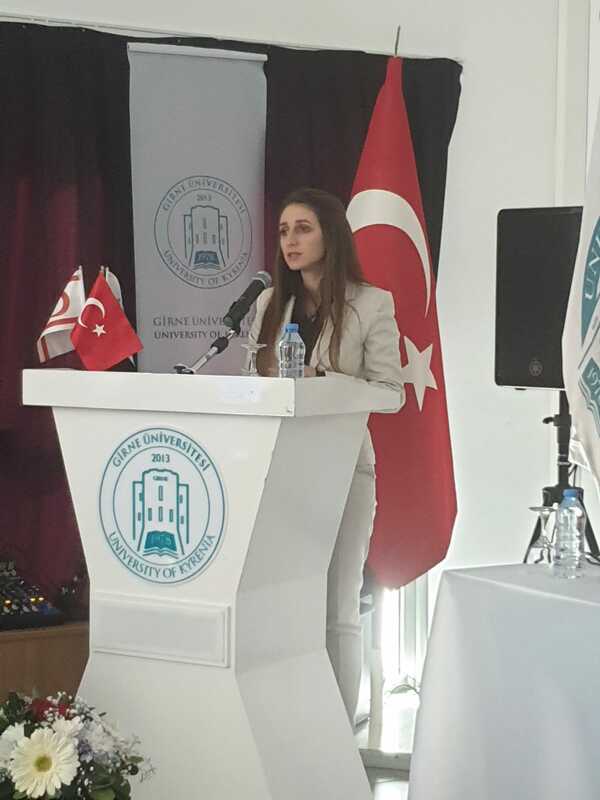 The second speaker was Dr. Suat Günsel University of Kyrenia Hospital Psychologist Feriha Kaşifoğlu. In her presentation which was titled as ‘Women and their invisible work’ she talked about traditional roles and the role of family and gender in society. 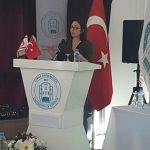 Kaşifoğlu stated that women’s mental health is affected by responsibilities such as housework and family duties, which she described as invisible labor. She also emphasized that it is possible for women to overcome many obstacles with the determination in the example she gave based on the life of the world famous designer Coco Chanel. Faculty of Aviation and Space Sciences, Department of Aviation and Management. Asst.Assoc. Dr. Nalan Gelirli talked about the ‘Women working in the skies’ and reminded that from the mythology to the Renaissance period, the flying female figure was used extensively in many places. Gelirli, in her presentation metioned Kathryn Wright who is the biggest supporter of Wright brothers inverters of the first airplane, Emma Lilian Todd; the first woman in the world to design an airplane, Elsie MacGill ; the world’s first woman to earn an aeronautical engineering degree, the women mathematicains that worked at NASA in 1960’s and made the orbital calculations and also worlds first female combat pilot Sabiha Gökçen.Nalan Gelirli, stated that aviation has been a sector open to women since the beginning. At the end of the seminar, Faculty of Architecture, Head of the Department of Architecture Hülya Kolozali MD., made a presentation titled as ‘Architecture and Women’ giving examples of the works of female architects; Sophia Hayden, Louise Blanchard, the first Turkish female architect Leman Cevat Tomsu, Sumide Hokusia, and Zaha Hadid the first women to receive the Pritzker Architecture Award. 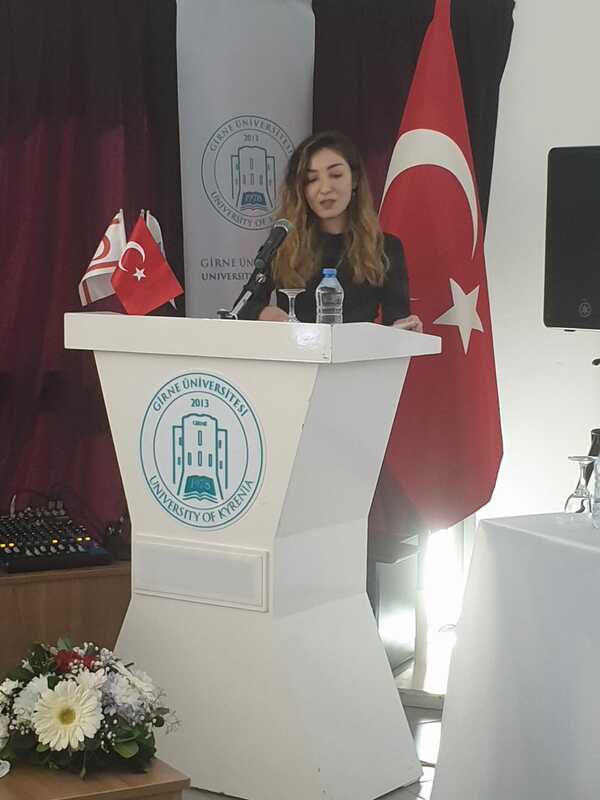 Kolozali, regarding the equality of women architects, stressed that the percentage of female architects in our country is 40.36% and the rate of male architects is 59:64% according to the data of the Union of Chambers of Cyprus Turkish Engineers and Architects. At the end of the seminar, as a result of a raffle 3 participants received a free check-up package by Dr. Suat Günsel University of Kyrenia Hospital.